This entry was posted in Uncategorized and tagged Olympics, recap, sports, winter olympics. Bookmark the permalink. Yep, unless a skater falls down, I don’t really see the differences between them. And then when someone who falls does better than someone who doesn’t, I just give up because NOTHING makes sense! My TV fell ill over a month ago and I missed every moment of the Winter Olympics. Now I feel all caught up. Thank you! I love your idea of having an accountant compete in skiing or luge for comparison. Maybe they could get a lawyer to ski moguls? Laughing about Johnny Weir! This was good! I want to see him on Fashion Police. “every Olympic event should include one average person competing” Brilliant. Network coverage LOVES injuries and this would be a golden ticket. I saw a meme yesterday that compared what Russia spend on the Olympics ($55 billion) to what it cost to send the Mars Rover up ($2 billion) and now I’m wondering what it would cost to send Paris Hilton to Mars. I’m pretty sure we could start a kickstarter campaign, although she’s been out of the news for a bit. How about a Kardashian? My 12 year old son & I watched the ski shooting event and could not stop laughing at how over the top the announcers were! I never knew it could be so exciting! God that was funny! Skiing accountants, Johnny Weir and Vladimir Putin all in one article. Doesn’t get any better than that. I thoroughly enjoyed reading that. I was laughing out loud all by myself. I may not make it to the Olympics but I did twelve minutes of exercise with my wii u fit game. So take that ice dancers! you made the Games most interesting than they were..which is your TALENT! I laughed at Swiffering becomes “curling” perhaps I am still an Olympic hopeful after all. I watched the hockey….and that was it. I tried curling in my kitchen and fell. I didn’t find the hockey disappointing at all 😉 Love your suggestion of including an average schmuck! I volunteer for luge. Abby that was so funny< Just wondering which event you would like to be "the average person" in? Why has this not been done already? Why??? I would’ve watched every second if someone like me had been out there trying a Double Sow Cow. Yes! Now I totally want the Frame of Reference Olympics. Great idea! I’ve never understood Olympic Fever – I thought I had it once but it turned out to be something that could be curtailed at the clinic. 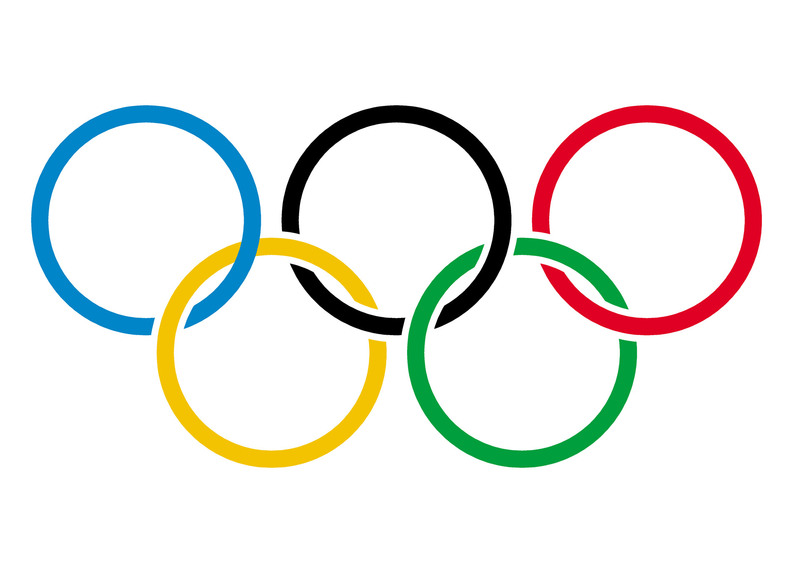 I find it amusing how wrapped-up everyone gets watching Olympic events, but once they are over, no one in the country watches figure skating or curling – just try to start a conversation about a non-Olympic ski-shooting competition and watch how quickly the office has to get back to work. I did love your idea about putting the average Joe into the competitions – that could make me miss Parks & Rec and Modern Family a little less. Enjoyed your take on it! The only thing I can say is Olympic Fever is better than Bieber Fever, but still pales in comparison to Parks & Rec and Modern Family. YES! Figure skating would be much more interesting if we had Joe Schmoe to compare it to. I would imagine that stuff is reallllly hard yet the judges act like they aren’t impressed with the human that just catapulted themself into the air while wearing knives on their feet. To me, everything they do should be a 10 because it’s all the same and it’s all really good. As a child I used to “figure skate” in socks in my kitchen. I understand how difficult a flying split in mid-air is! I just wish the judges did. I didn’t watch one minute of the olympics this year. I don’t know why I just wasn’t interested all of a sudden. I just found your blog & I’m so glad I did. Hilarious. I just started my own, maybe some of you will like it! Last time around, the Olympics was all about the “Ooooo’s” and “Ahhhh’s” and a “YES!” or two when Johnny skated oh-so-sublimely. (Sounds like a roll in the hay, now that I see it…) And then the “WTF?” when he ranked 6th. (I ended up reading Johnny’s bio and now “Get it.” ) This time around it was not only, as you said, a flip of the bird to Putin; it was also Johnny “stickin’ it to the man” of figure skating. His commentary and fashion were both flawless and he even helped Tara up her game, by giving her a fab headband!